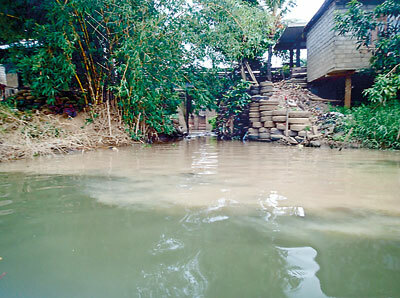 Villagers troubled by the damage to the environment caused by mini-hydro power projects joined environment groups on Monday to take their anger to the doorsteps of the Central Environment Authority. 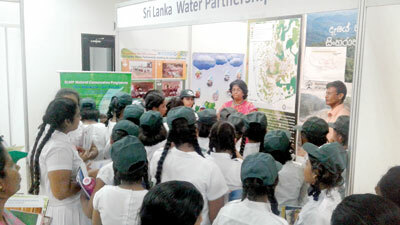 More than 200 villagers from different parts of Sri Lanka were among the protesters who denounced the projects. “We decided to protest as a last resort. 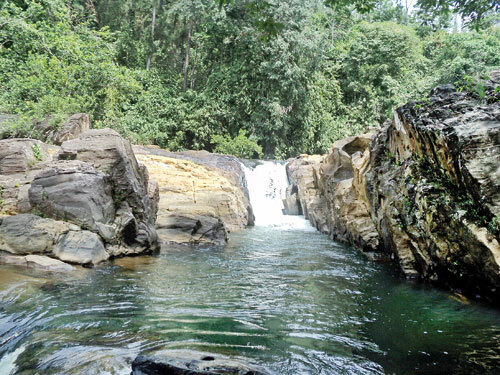 The remaining waterfalls will be destroyed by upcoming hydro projects, so they have to be stopped as our waterfalls are not only for electricity generation,” said Saman Perera from Rainforest Protectors which was one of the organisers of the protest. The CEA has now promised to review the projects. 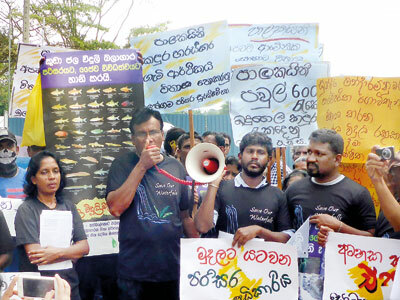 “Based on wrong policies and improper guidelines, the mini-hydro power dams have become an environmental disaster,” Samantha Gunasekara, the former head of the customs biodiversity unit who is also an expert on freshwater fish said at the protest. Protesters blame agencies such as the Central Environment Authority, Sustainable Energy Authority, and the Ceylon Electricity Board for approving the mini-hydro power plants in environmentally sensitive areas. They allege the CEA is too lenient or that corrupt officials are approving projects. 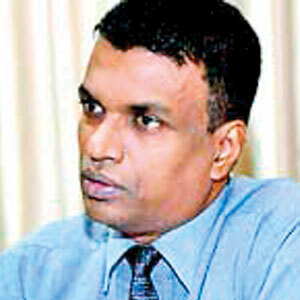 Gunasekara also points out the need for monitoring mini-hydro power plants now in operation. 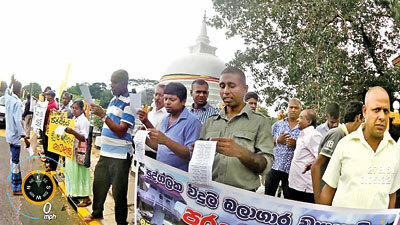 Many of the protesters were from Marukanda in Kuruvita, Ratnapura. 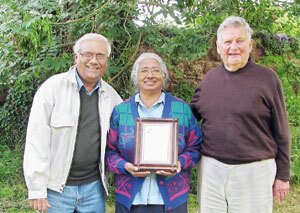 Ananda Premasiri from Marukanda, said the mini-hydro plant at Marukanda will affect at least 4 kilometres of the river. He said already there are 3 mini-hydros in Kuruganga and another in an associated waterway within a short distance. He fears these will adversely impact on the biodiversity of a sanctuary. 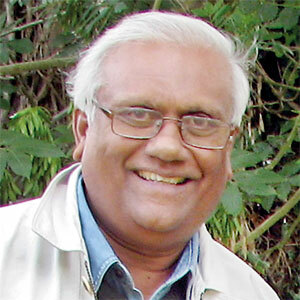 Premasiri is not willing to accept any more mini-hydro power plants. Although district officials have decided to halt the latest project, which began in December, it is continuing with the backing of a high profile political figure in Ratnapura. The CEA Chairman, Prof Lal Mervin Dharmasiri, said new licenses for mini-hydro projects will not be issued. Projects approved by the Sustainable Energy Authority be evaluated. He promised that all the problematic mini-hydro power projects will be evaluated within the next three months. 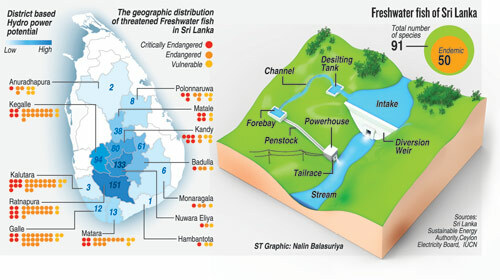 Mini hydro power plants set up in sensitive areas can cause environmental damage and harm the biodiversity and ecosystem of forests, groups campaigning to protect Sri Lanka’s biodiversity and the environment have warned. 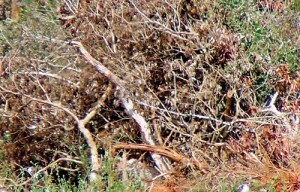 The Environmental Foundation Limited and Sri Lanka Jalani said this week that there are deficiencies in the approval process of plants sited in protected as well as ecologically-sensitive areas. They suggest that policy guidelines be developed on where such plants can be built. Trees are felled, river banks are cleared causing erosion and and rocks are blasted to build these plants. 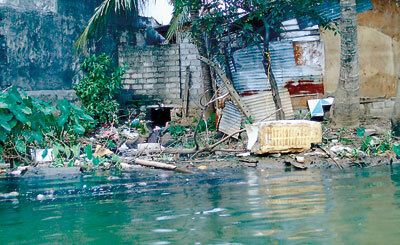 Debris chokes the rivers. A mini hydro power plant is built by building a weir (dam) to collect water which is then channeled to generate less than 10 megawatts. Already 145 such units are in operation and it is understood that more than 100 are being developed or under evaluation. 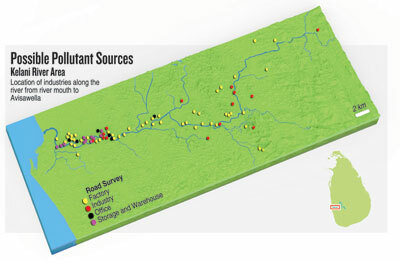 Rather than doing IEEs on a single project basis, it is important to assess the environmental impact on a whole stretch of river to assess the collective impact on the river, she said. 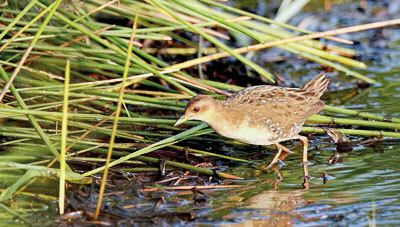 Regulations require that a free flow of water in a river must be ensured to help maintain the ecosystems downstream. “But we have serious concerns on accuracy of calculations of the amount of water that needs to be released as environment flow. 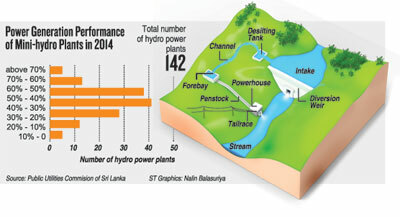 Who ensures whether the flow is constantly being monitored day and night?” asked Dr Jayakody emphasizing the importance of regular post-monitoring of operations of mini hydro plants. Prof Ivan Silva who has a Phd in river ecology, said mini hydro power plants may help reduce carbon dioxide emissions, but one must take into account the destruction caused by the felling of trees to build projects. Sections of river that dry out can also create water pools that could generate methane, which is a worse than green house gases. Environmental Lawyer Jagath Gunawardane, pointed out the need for more serious environmental impact assessments for mini hydro power plants in highly environmentally-sensitive areas. He also questioned the ethical integrity of some experts who conduct IEEs while sitting on panels that approve projects. 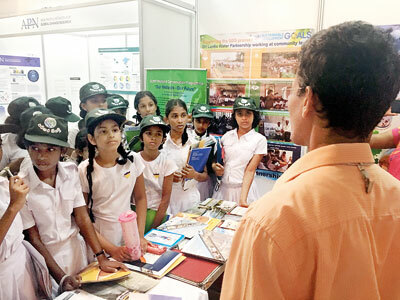 “Our aim is not merely to block the development process, but to make them sustainable,” EFL’s director, Shehara De Silva summed up. The Sunday Times contacted Sustainable Energy Authority, Director General, Ranjith Pathmasiri, who noted that most viable hydro power projects have been completed and the authority is at present focusing on solar and wind power. Referring to its role in commissioning of mini hydro power projects, he said the main responsibility was to grant an energy permit for engaging in and carrying on of an on-grid renewable energy project. The Central Environment Authority carries the main responsibility for environmental aspects of mini hydro projects, he said. CEA Director General K. H. Muthukudaarachchi accepted there could be some issues with Initial Environmental Examinations handled by regional offices. He said that it has been decided that assessments for projects in sensitive areas be handled by the head office. Action will taken against projects where deficiencies are found. When asked about post-monitoring of projects, the CEA head said it had to be a shared responsibility. The CEA does not have capacity to monitor by itself, he added. 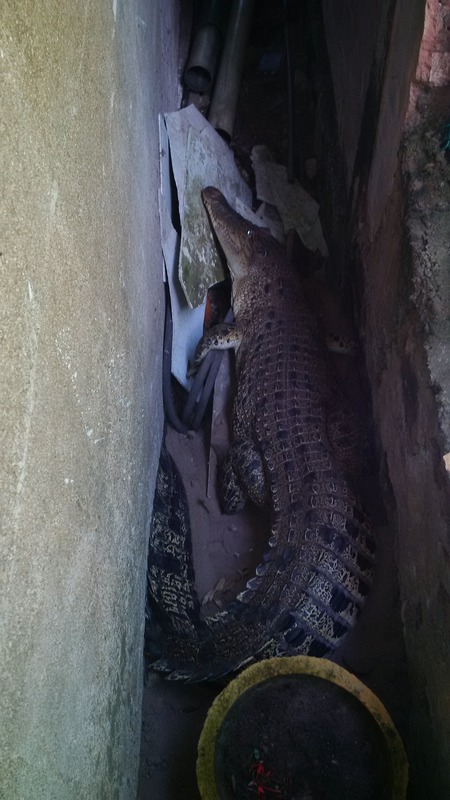 A few months ago, the apex predator of the freshwater riverine habitats, the crocodile, was reported in the sea off Wellawatte; recently the apex predator of the ocean, the shark, was reported in a river. The latest sighting of a shark in a freshwater habitat was reported by a group of wildlife lovers who visited Yala on January 23. While travelling to their campsite in the evening they passed a bridge over the Menik Ganga that flows across Yala. 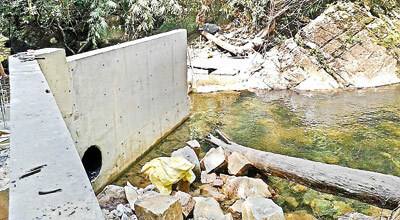 The slow-flowing water in this part of the river is shallow and one of the group members spotted a large fish. “That is a shark!” shouted Isuru de Soyza, pointing it out to the others before it swam away. Senehas Karunaratne, armed with a camera, had only a split of second to click before the shark took refuge under the bridge. 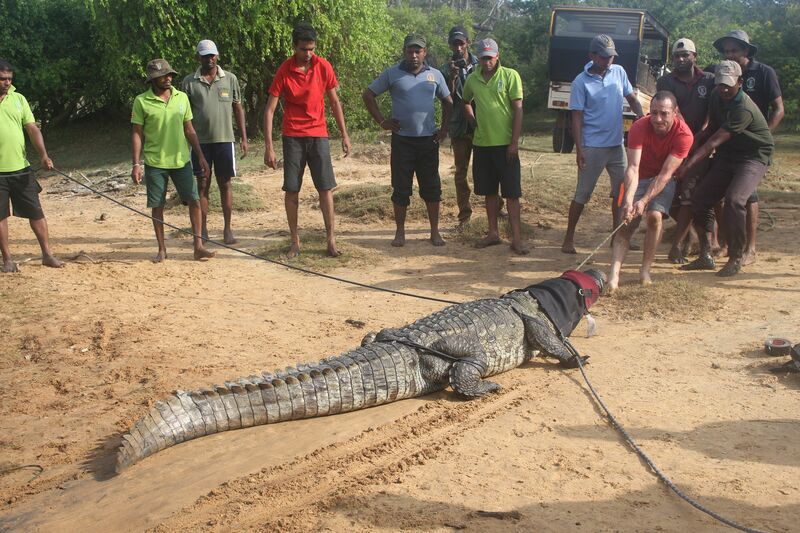 “The shark was about three feet long and quick in the water,” commented Mr. Karunaratne. Rumours of sightings of sharks in the Menik Ganga have been around for a while and Mr. de Soyza claimed to have seen one in the same section of the river a few months ago. Photographic evidence of sharks in the Menik Ganga first came from a team from the Wildlife Conservation Society of Galle (WCSG). 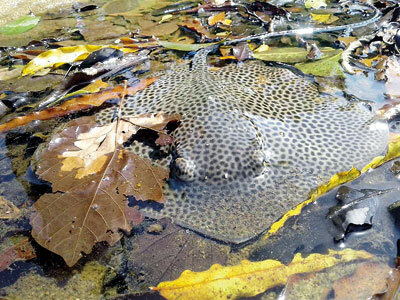 While conducting an islandwide freshwater fish survey at the Menik Ganga about 7km upstream from the coast they spotted a shark in shallow, crystal-clear water about three feet deep. They netted the shark and carefully brought it out of the water to take measurements. The shark was about three feet long. After photographing it, they released it back into the water. 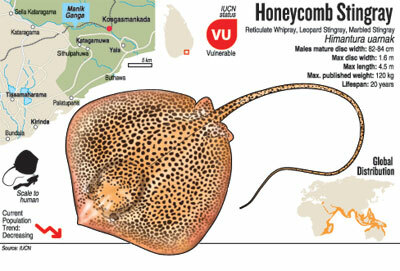 The WCSG survey team had three more sightings of sharks in the Menik Ganga and the Kumbukkan Oya, closer to Kumana. Sri Lanka’s foremost expert on sharks, Rex I. de Silva, was sent the WCSG photo for examination and identified the shark as a variant of the Pondicherry shark (Carcharhinus hermiodon). This species lives in the Indo-Pacific region from the Gulf of Oman to New Guinea, with most records from the coastal waters of India. 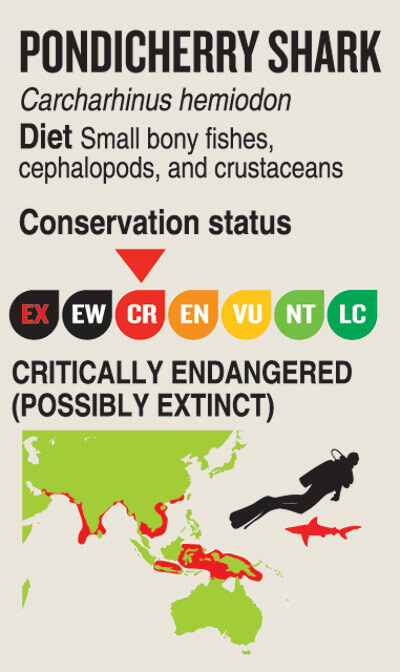 The International IUCN Red List of threatened fauna lists the Pondicherry shark as “Critically endangered – possibly extinct”. The Red List states that the shark was last recorded in 1979. Rex de Silva, however, states that the shark has been recorded in small numbers in Sri Lankan seas since the mid-1980s with the species’ presence in Sri Lankan waters first documented by himself in 1988. Commenting on these sightings on the “Sharks of Sri Lanka” Facebook page, Mr. De Silva said it was important to differentiate between a shark in freshwater from a shark in a river. “In times of drought, when river levels, fall seawater may intrude some distance up rivers at high and especially spring tides. Sharks and other marine species may follow the seawater intrusion for a considerable distance up river, so although they are in a river they will still be in salty or semi-saline water. 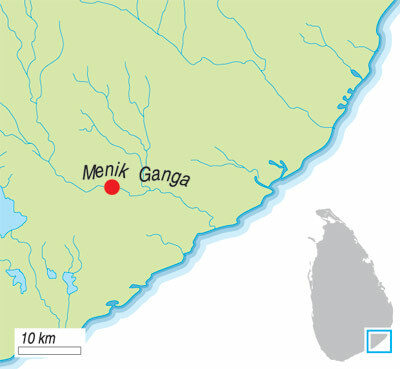 Mr. de Silva states that anecdotal evidence over at least 30 years suggests that there are sharks in the Menik Ganga, but these sharks were not identified although speculation about their identity was sometimes offered. Literature indicates that Pondicherry sharks do not grow much longer than about 3.3 feet and hence are not a threat to humans. 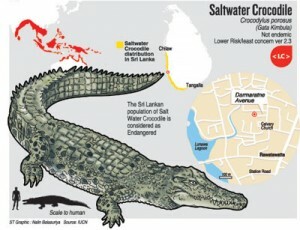 Sharks are not blood-thirsty man-eaters as Hollywood movies depict, so the presence of sharks in the Menik Ganga simply adds an interesting element to Sri Lanka’s biodiversity and is nothing about which to feel panic. A fisherman in Hikkaduwa caught a 12-foot, 350kg shark, reports last week said. The shark was caught in deep ocean about 20 km from shore. Inspecting footage of the specimen, shark expert Rex De Silva provisionally identified it as a bull shark (Carcharhinus leucas). Help for identifying a sharkAltogether, 61 species of shark have been found around Sri Lanka, however there could be more varieties living in our waters. Shark expert Rex de Silva maintains a Facebook group called “Sharks of Sri Lanka” and welcomes public sharing of images for identification purposes. When forwarding images for identification it is best that a full lateral view (side view) is submitted as correct identification often depends on the relative positions of the fins, size and position of gill slits etc. “I appreciate that obtaining a lateral view will not always be possible in which case any image is better than none and I am pleased to note the great interest in our sharks among lay persons,” Mr. De Silva states.